Life Magazine January 28, 1952. Phyllis Newell on cover. Articles also include Phyllis Newell, Florida Everglades, New Jersey Turnpike, Ferdinand Waldo Demara, and more. Filled with great period advertising and Life's Famous photographs. Magazine is in good condition, wear at edges. 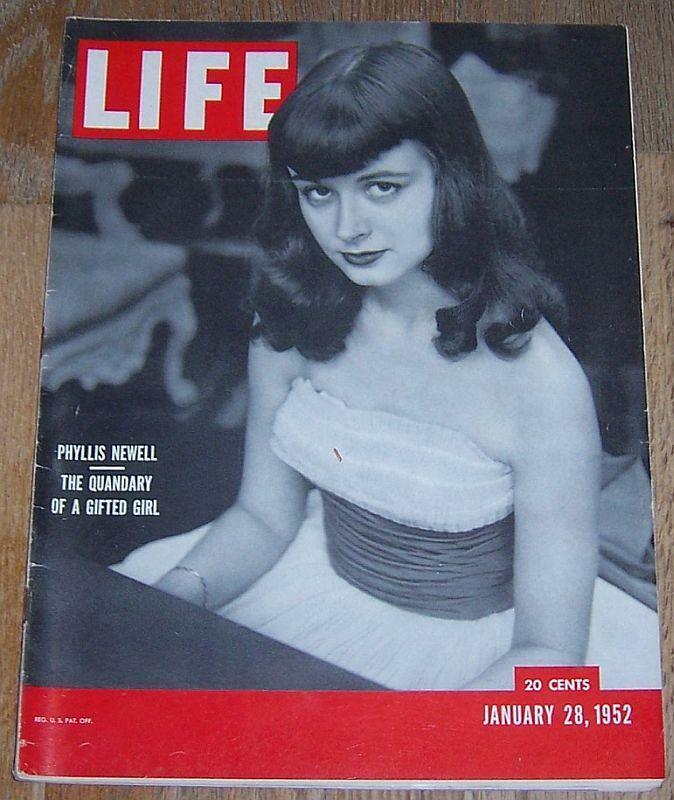 Items Similar To "Life Magazine January 28, 1952 Phyllis Newell Cover/Everglades/NJ..."